So you’ve been offered an interview, your UCAS form must have impressed! Our Careers Consultant Jean Harris gives her top tips on how to ace an interview for Medicine! Panel – conducted by one, two or more interviewers. Can be formal on either side of a table with pre-set questions, or informal with no table and a range of questions. Here is an explanation of the panel interview and some possible questions. This gives is a more exhaustive range of sample questions which have been used at panel interviews. Multi Mini Interview (MMI) This is series of short, timed mini-interviews which try to elicit several examples of an applicant’s ability to think on their feet, critically appraise information and communicate their ideas. Check out the Medical School Application Guide for an explanation of the MMI process and an example of an MMI question. Some formats involve role play. St George’s Medical School site has further further information about MMIs . Check out this thread for tips on how one applicant coped with an MMI. This video shows one example of an MMI being conducted. Be thoroughly familiar with the course you have applied for. Think about at least one question you would like to ask. This could be about the interviewers’ experience of the course (if appropriate). Check out any top tips given by the course – some will give examples of the questions and topics you will cover. Read and re-read your UCAS application. Be prepared to answer more in-depth questions about any claim you have made. Consider if you have anything new to offer since you completed your application and how that strengthens you as an applicant. Remind yourself about what doctors do on a day-to-day basis including the highs and the lows. Be clear about the structure of further training. Consider what you would like your career path to be. Make sure you are up-to-date with recent medical stories and issues. BBC Health News and the BMJ are good starting points. Consider what you know about the issues; are there conflicting views, what are your opinions about them? Consider your strategy about how you would respond to an ethical issue question – e.g. articulating both sides of an argument, how you would weigh them up and support your views. (See examples in the list of questions given above). Make sure your travel plans are watertight. Plan time for delays. Sort out what you will wear – business style but comfortable. Take every opportunity to articulate your responses to likely questions. Book to have a mock interview at the Careers Centre. 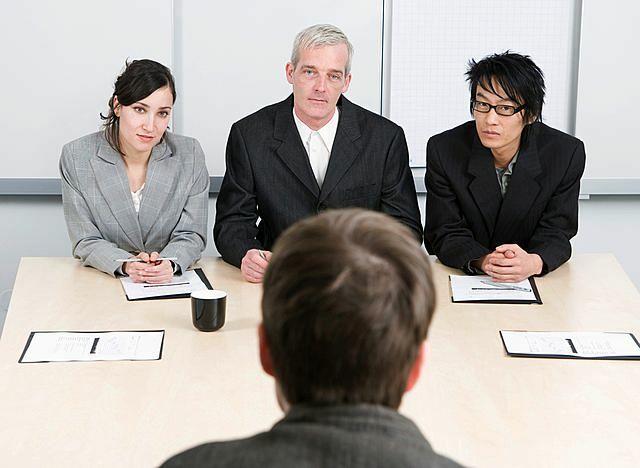 Check out if there are any events in your faculty aimed at preparing students for interviews. e.g. Biosciences Networking Event. Faculty VLEs are a good starting point to find out what’s on offer. Admissions tutors are looking for enthusiasm, commitment and skills such as empathy, social awareness, communication and clear thought processes such as the ability to weigh up an issue. If you are successful – congratulations. Make sure you know what the next steps are as far as the UCAS process and the university making you the offer(s) are concerned. If you are unsuccessful try to get some feedback as to why. This will help you to plan for the future e.g. if it was felt you didn’t have enough experience in a caring environment and/or weren’t able to explain in enough depth about what you gained from your experience, it may be worth taking another year to gain more experience and to re-apply in the following cycle (always check out the university’s attitude to re-applicants). It may be that you decide that medicine is not for you, in which case you will need to make alternative plans. This can be a daunting prospect especially if you have had your heart set on medicine for some time. Look out for a future blog on alternative career ideas to medicine. In the meantime check out the Prospects Planner to get started on what other careers may give you the satisfaction you were hoping to get from being a doctor. It may be small consolation if you are rejected, but the fact that you got so far with your medicine application shows that you have a great deal to offer a range of other worthwhile careers . As a doctor and previous interviewer – it is never too early to prepare oneself with interests and activities pertinent to medicine. People who did a Google or Wiki search just a few days before interview are easy to spot. I would recommend curating articles and news items pertinent to some of the content that will feature in your personal statement so that one comes across as really informed. Also contact the Registry of your medical school of choice to arrange an opportunity to speak with some current students – most are helpful and it gets at least one of the bonus points.